Blythe eyes | Flickr - Photo Sharing! 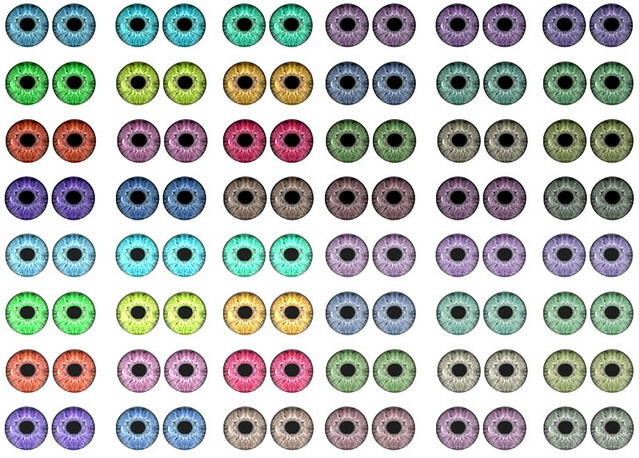 I just played with Photoshop and created these irises for clear Blythe chips. I don't even know the measurements...If you printed these on shiny photopaper, they might work. Dunno. Have to give it a try some day. Btw, they are made from a real eye. LouLouDolls~, calyrivas, and 1 other people added this photo to their favorites.